How to tell what version of QODBC I am using? 1. Click Start -> All Programs -> locate the QODBC Driver for use with QuickBooks. 2. Click on the QODBC Setup Screen & Navigate to the About tab. You can find QODBC Version details from Text like Version 16.00.00.318 where 16 is major QODBC version & 318 is build number. 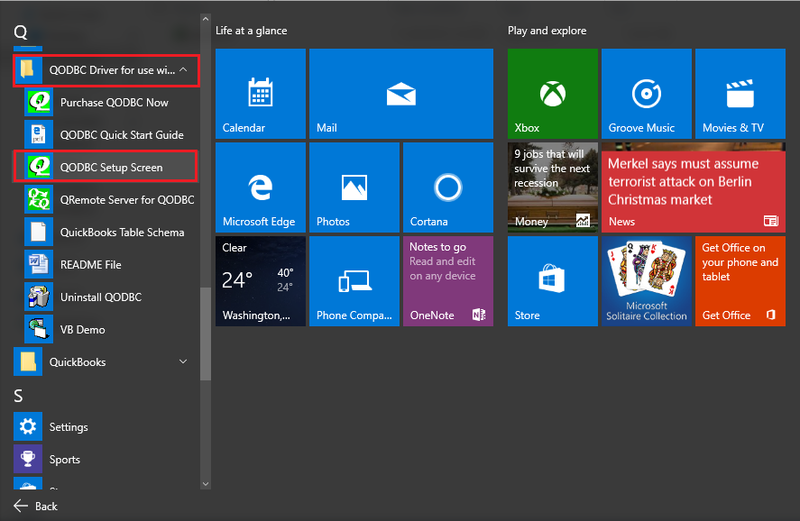 In the middle of the About Tab window, you will see a hyperlink that says Check Website for Updates. 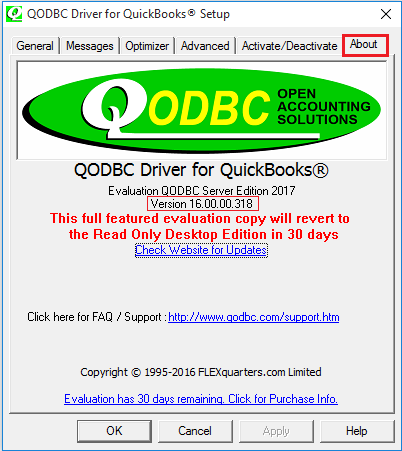 You can click on this for checking details about QODBC latest Released Version & you can download QODBC latest released version by clicking on Click to Run QODBC Installer version hyperlink. Also, You can check README file of the latest QODBC version by clicking on QODBC README file with list of latest changes hyperlink.